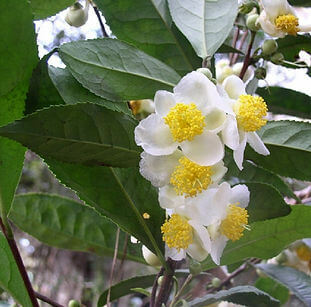 Medicinal plants were shown to possess several bioactivities of which Camellia sinensis, a popularly used refreshing beverage has been reported to have immune modulating and anti viral activities. From our lab we had already shown that C. sinensis extracts possessed anti-HIV and anti-HBV activities. In the current study we evaluated its anti-HSV activities. Aqueous and methanolic extracts of C. sinensis were tested for their anti-HSV property by CPE reduction assay on Vero cell monolayers. Cytotoxicity of the extract was measured by MTT assay. Experiments showed that 12 µg/mL concentration of C. sinensis completely inhibited HSV-1 and 2 and the drug was found to be non toxic up to 10 mg/mL. The study showed that C.sinesis extracts and EGCG compound are potent inhibitor of both HSV-1 and HSV-2 infection and it was found to be relatively non toxic.